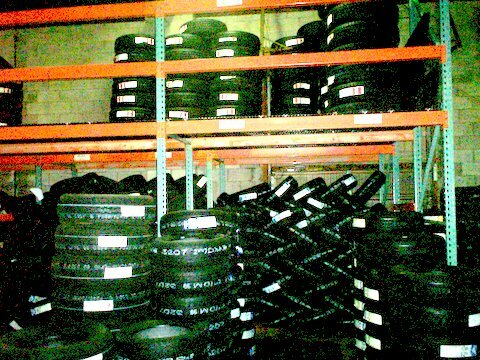 Material handling storage equipment includes hundreds of products and JML Services can help you select just the right storage device to accomplish your goals in an economical manner. 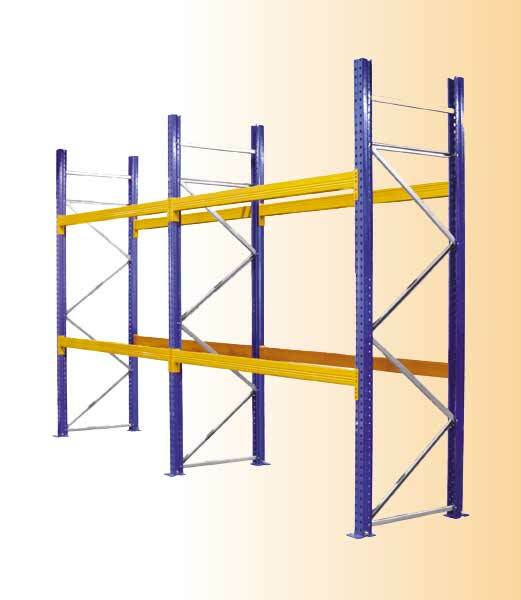 We have expertise in all kinds of pallet rack, from the standard Selective rack to high density push back and flow systems. 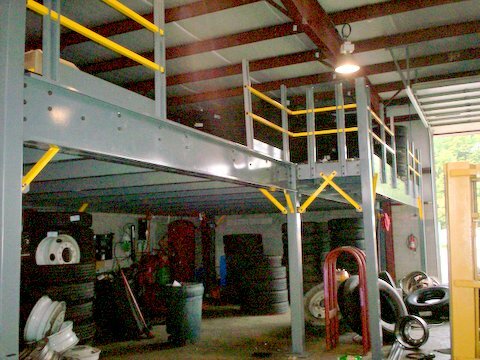 We will evaluate your business needs and suggest either roll form or structural steel for your rack system. At the small and light end of the storage equipment world we provide shelving, cabinets and even plastic containers for the tiniest of parts. modular cabinets can upgrade your shelving system with sliding shelf inserts for your existing shelving, or stand alone custom units. 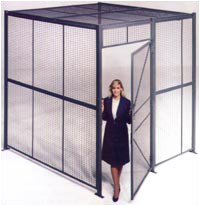 To secure your items, surround your storage area with a wire mesh enclosure to provide security yet easy access. Perhaps you are simply out of floorspace and need to create a second floor level. Look to JML Services to design a mezzanine to generate more space out of this air! Your facility might store the various oils and lubricants in the 55-gallon drums they arrive in. Want to put 9 drums in only 27 square feet? 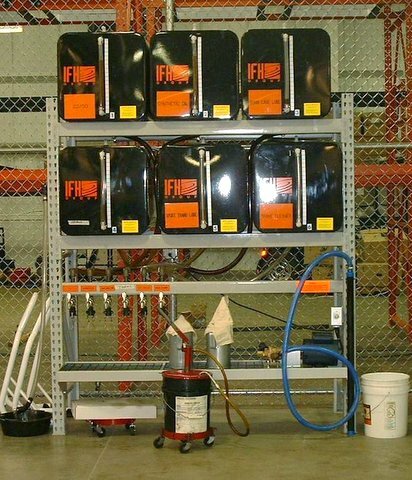 Our oil storage systems not only clean up a big mess and save space, but provide a clean, safe and accountable fluid storage area. 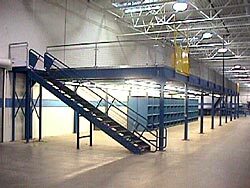 Free standing mezzanines are designed to satisfy your need for additional space by maximizing the use of existing areas. They offer you virtually unlimited options for modifying your present interior spatial configuration. As a result, you can increase your usable floor space without the expense of modifying the building layout or moving into a larger facility. 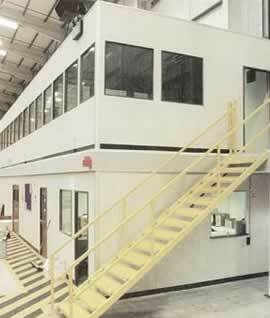 JML Services can design a mezzanine to precisely fit your requirements. 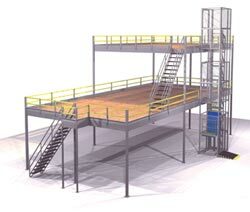 Pre-engineered structural steel mezzanines with load capacities from 75 to 500 psf, rack or shelving supported mezzanines are all possible. Flooring of wood, concrete, bar grate or steel is provided to suit your needs. We can even take care of any lighting requirements by providing a licensed electrical contractor to integrate lighting into our designs. Maybe additional office space is needed; use your ‘air rights’ and put new modular offices on the mezzanine right on top of an existing tool crib or production space. Pallet Rack is built with two basic components: Upright Frames and Beams. Both of these components can be designed to take advantage of all the space your facility offers. Beam lengths can be optimized for your pallet size, and the Upright Frame can be of any height and depth. 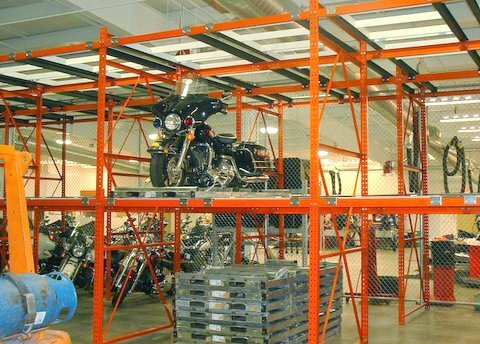 The difference between a ‘cheap’ rack and a properly designed storage system might be difficult for a facility manager to evaluate from a quotation alone. JML Services provides the components that will ensure a solid, damage resistant structure for years to come. Row spacers maintain a consistent dimension between Back-to-Back rows, ensuring that product from one rack does not damage the rack behind it. Reinforced legs and Post protectors add damage resistance from forklift impact. 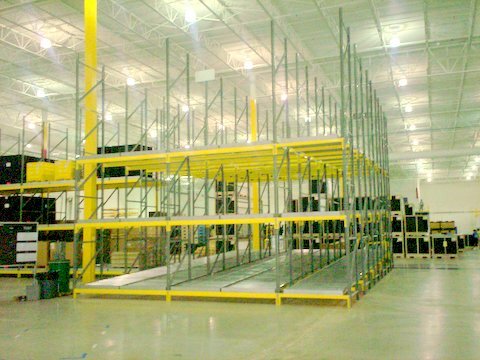 Wire mesh decks and bolt-in pallet supports allow an added degree of safety and also enable small boxes and containers to be placed on the racks. 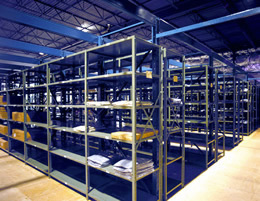 Steel shelving and steel framed shelving are the workhorses of small parts storage. 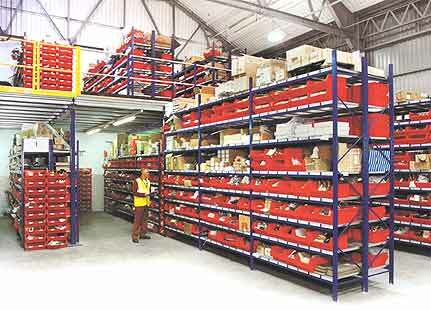 Should you need just a section or two of shelving, a storage cabinet, or an entire tool crib designed, JML Services is ready to assist you with the best solution for your needs. 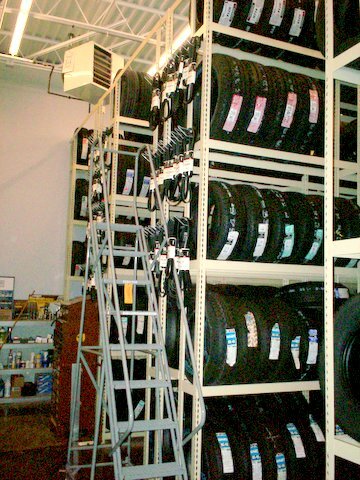 We provide clip-style shelving systems and components, using offset angle uprights and beaded post designs. 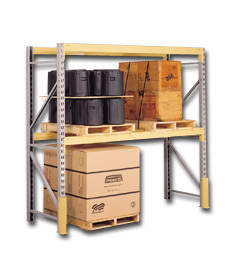 Steel shelves are available in standard capacities of 450 lbs each, and we often suggest a heavier duty 900 lb shelf as a cost effective alternative. 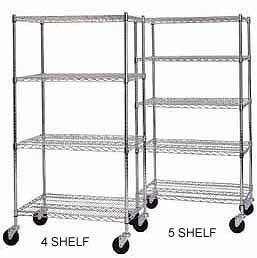 Shelf framing (rivit shelving) is often used with particle-board shelves, and can be a very economical alternative to steel shelves. 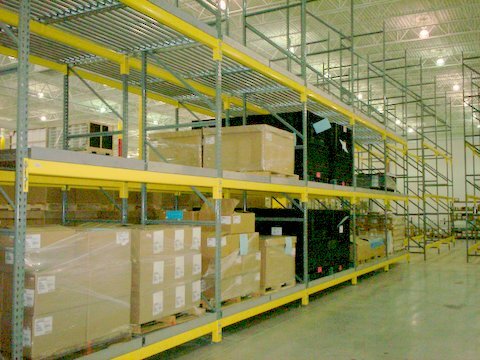 Rivit shelving is a versatile product, offering shelf lengths up to 96” long x 48” wide at a fraction of the cost of pallet rack. For extra security and safety, enclose the shelves in either a cabinet or Wire mesh enclosures. 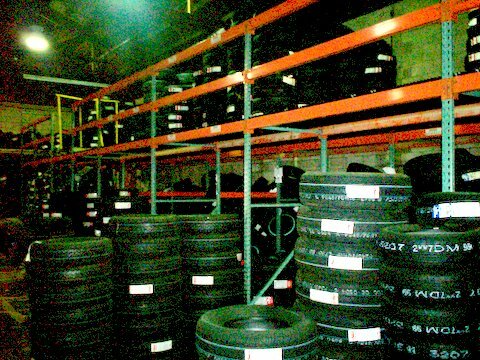 One of the specialty applications where JML Services has unique expertise is in the area of tire storage. 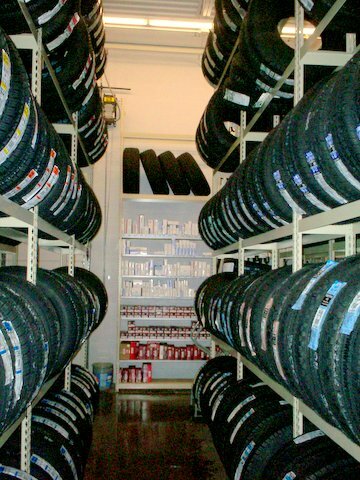 We provide solutions for point-of-purchase retail centers as well as bulk warehouses and over-the-road service centers. 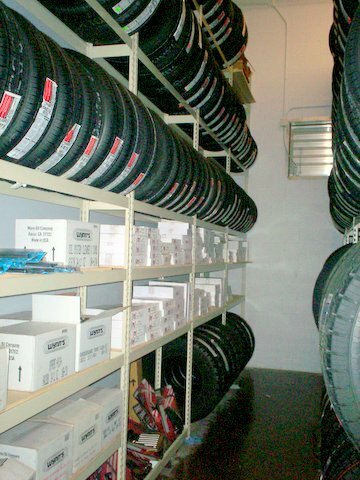 Automotive tire storage utilizes rivet rack for dense storage and economy. We also offer a heavier beam designed for truck tires. 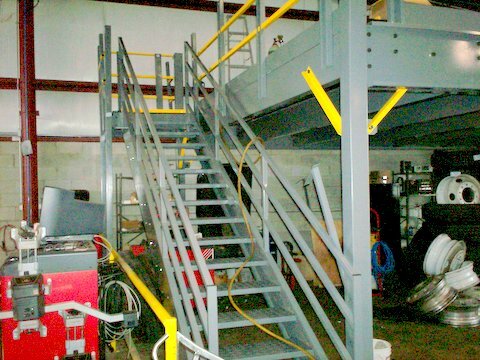 Unique solutions include adding catwalks, storage above service bays and workbenches. 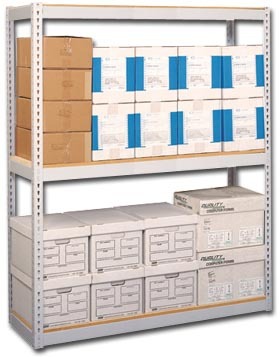 Need to store more product in an existing facility and all the floor space is already used? Utilize all of your air rights, and use that space you already own that is just waiting to be filled. 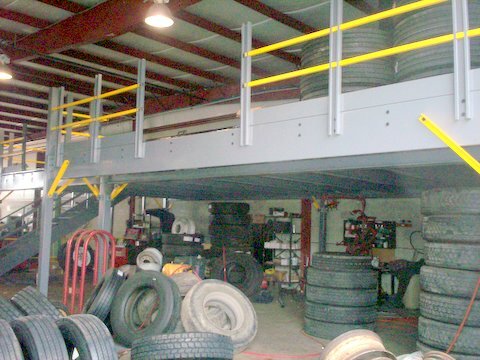 To maximize revenue at the retail level, keep your income producing repair bay space reserved for your customers, and put your inventory of tires and parts up in the air with a mezzanine. 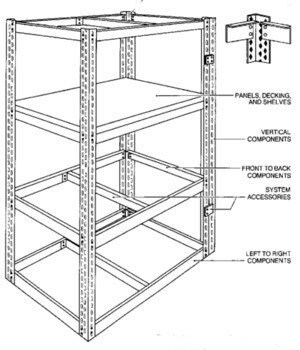 Either rack supported or pre-engineered, we have a proven solution for you.